Dave's confused... as always! This Despicable Me Whaaa 16 oz. 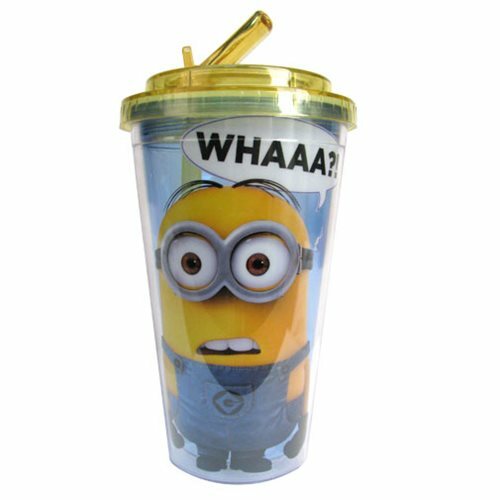 Flip-Straw Travel Cup features an image of one of your favorite two-eyed minions, bewildered as ever. Cup includes a built-in flip-straw for convenient, on-the-go drinking. Hand wash only. Not dishwasher safe. Do not microwave. Measures approximately 7-inches tall. Ages 14 and up.